Efi Agro specializes in supplying food products to major trading networks both in Ukraine and abroad. The company currently supplies chicken eggs to Albania. 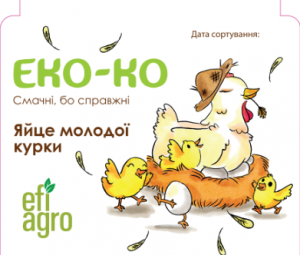 Among the range of products presented chicken eggs in packages of 10, 15 and 30 pieces. We deliver 12 trays in the box. By the way, the packaging was developed and manufactured at the Zhytomyr Cardboard Plant. The plant is a well-known leader in the production of innovative and sustainable packaging. Thanks to an innovative approach to the production of packaging for chicken eggs, we maintain the highest quality products. We adhere to strict standards, therefore all processes meet the standards of storage and transportation of ISO 9001: 2008, ISO 22000: 2005. Efi Agro actively develops the presence regions and expands the range of products.